To prepare for looming technological upheavals, we need to understand the current educational and training landscape, its limitations, examine the latest research on the future skills needed and highlight some of the most effective employment and human resources strategies and educational models that can better position all stakeholders for the imminent change. We argue that by working together, especially through public-private partnerships, business and policy leaders can develop effective work-readiness and skill matching solutions, lifelong learning and re-skilling approaches to prepare both employers and employees for the changing world of work. 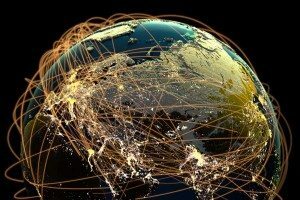 For some, AI and globalization can be liberating and exciting; but for those who are insufficiently prepared, they can mean uncertainty in employment, and a life without prospects. Our economies are shifting towards regional hubs of production, linked together by global chains of information and goods, but concentrated where comparative advantage can be built and renewed. This makes the distribution of knowledge and wealth crucial, and that is intimately tied to the distribution of educational opportunities. The dilemma for education is that the kinds of things that are easy to teach have now become easy to digitize and automate (e.g. memorization vs. critical thinking). The modern world does not reward us just for what we know – Google knows everything – but for what we can do with what we know. So, the focus must shift to enabling people to become lifelong learners, which encourages constant learning, unlearning and relearning when the contexts change, and integrates both the practical world of work, with the theoretical world of learning. The future is about pairing computers with the cognitive, social and emotional skills of human beings. These days, AI algorithms sort us into groups of like-minded individuals. They create virtual bubbles that amplify our views and leave us insulated from divergent perspectives. Tomorrow’s educational institutions will need to help students to think for themselves and join others, with empathy, in work and citizenship, and build character qualities such as perseverance, empathy or perspective taking, mindfulness, ethics, courage and leadership. But to transform schooling at scale, we need not just a radical, alternative vision of what’s possible, but also smart strategies and effective institutions. Our current educational institutions were invented in the industrial age, when the prevailing norms were standardization and compliance, and when it was both effective and efficient to educate students in batches and to train teachers once for their entire working lives. The curricula that spelled out what students should learn were designed at the top of the pyramid, then translated into instructional material, teacher education and learning environments, often through multiple layers of government, until they reached, and were implemented by, individual teachers in the classroom. This structure, in a fast-moving world, reacts to current needs, far too slowly. Today, we need to embrace AI also in ways that elevate the role of educators from imparting received knowledge towards working as co-creators of knowledge, as coaches, as mentors and as evaluators. AI can support new ways of teaching that focus on learners as active participants (e.g. chat bot, gaming applications). With 40% of employers reporting that they lack the talent required, it is surprising that at the same time global youth unemployment as stated by the International Labor Organization (ILO) is at 66 million. There is clearly a mismatch and the private sector has a critical role to play in resolving this skills-education deficit. Employer-driven education (i.e. apprenticeships, traineeships, internships, learnerships) are key in equipping the workforce with the soft and technical skills that employers require. In countries such as Switzerland and Germany with robust apprenticeship programs and strong employer engagement, the rate of youth unemployment is very low. So, why aren’t there more apprenticeships and employer driven education? In many countries, the policies, regulations, registration process for setting up work-based learning programs are cumbersome and time-consuming for employers. The return on investment (ROI) is often unknown, e.g. in the U.S. for every $1 spent there is a return of $1.47. Lastly, educational institutions are not always linking to employers on curriculum design to reflect the world of work’s latest needs. We have learnt at the Global Apprenticeship Network (GAN), a public-private partnership (PPP), that the convening of key stakeholders at the local city and country level ensures that education and legislation is better attuned to the world of work. Although private and public stakeholders do not always speak the same language, bringing them together increases their mutual understanding of the needs and changes that will assist in getting skills for business and jobs for youth. Employers are uniquely positioned to define the skills required in the world of AI, robotics and automation as they are developing these technologies. Sadly, their importance as not only job creators, but also curricula designers, are often overlooked and they are often left out of the conversation and decision-making process. Work-based learning and notably apprenticeships connect education to work and we are seeing more and more employers creating innovative apprenticeships – part-time apprenticeships, pre-apprenticeships and a vast range of online tools. e.g. e-apprenticeships. In the last five years since GAN’s inception, it has become increasingly apparent that these models must be leveraged to ensure that not only youth, but also middle-aged and senior population groups adapt their skills and competencies to the fast evolving economic and technological context. In short, with the need for re-skilling and lifelong learning on an unprecedented scale, innovative apprenticeships can help get skills for business and jobs for all. Below are two business-led initiatives that further illustrate the power of public-private partnership in skilling and reskilling. With the uncertainties linked to fast-paced technological change, these models show us how all actors – public and private- can join forces to ensure that skill development is continuously connected to present and future socioeconomic needs. The first is IBM’s P-TECH school, a public-private partnership educational model that addresses postsecondary degree completion and career readiness by smoothing the transitions between high-school, college, and the professional world in science, technology, engineering, and mathematics (STEM). It recognizes that students need early and engaging experiences with the world of work, to make the academic work in high school and college meaningful and to fully prepare them with the workplace skills required by employers. The model pairs educational institutions with “employer partners” to act as mentors, develop curriculum, organize site visits, internships and other workplace learning opportunities. The sustainability of the model depends on public authorities’ active involvement to develop appropriate frameworks, regulations, licensing, etc. Starting with one school in 2011 and engaging over 400 business partners, P-TECH expects to have 100 schools in 2018. IBM also ensures that its own workforce has continuous access to lifelong learning. Through the Think40 program IBM staff is asked to pursue at least 40 hours of personal and technical skills development through formal classes, self-paced learning, and online resources. The Think Academy platform allows IBM staff to access customized training which is constantly updated to IBM’s clients’ most current and pressing needs. The second example is based on Randstad’s approach to “put humans first” in the age of digital transformation. Randstad supports clients to integrate versatility in their organizational culture, through a wide variety of re-skilling mechanisms, ranging from external & internal training, mentorship to job rotations and adult apprenticeships. Moreover, Randstad operating companies facilitate the integration and reintegration of vulnerable segments of society (e.g. youth, women, senior staff) with more than 100 social innovation programs mostly through public-private partnerships across the world. For example, in Spain, the Randstad Foundation works with more than 600 companies to ensure the reintegration of those at risk of exclusion from the labor market. In Italy and in the Netherlands, Randstad focuses on employees over 50 years of age, by organizing training in the latest technologies, advocacy, and networking opportunities (12 events to date) with employers. This overview of initiatives, models and partnerships demonstrates that, through collaboration involving public and private entities, excellent strategies can be developed, not only to adapt to the upcoming technological change, but also to capitalize on the opportunities technology has to offer for the creation of better jobs and better lives. We’re all being told that our jobs are doomed by robots and automation. 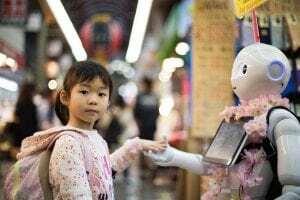 But the OECD estimates that only nine percent of jobs across the 35 OECD nations are at high risk of being automated, although of course even nine percent can generate plenty of social difficulties. But there is an established track record throughout history of new technologies creating at least as many new jobs as they displace. Usually these new jobs demand higher skills and provide higher pay. The biggest threat is that our educational institutions won’t be able to keep pace with the new skills demands including the important skills that AI will not be able to replace. For global employers, there is a steadily growing mismatch between what companies need in terms of skills and what the workforce is coming equipped to do. In an economy with a significant on-demand labor force, two main types of competencies will be needed: “technical” – or in other words, related to deep knowledge of a specific domain, whether welding or engineering, and “transversal,” which applies to all occupations. Those are described by the Center for Curriculum Redesign as creativity, critical thinking, communication and collaboration. So what skills will managers need as a result of likely structural changes, driven by AI and growth of the on-demand economy? A recent survey by Business at OECD (BIAC) surveyed 50 employers’ organizations worldwide. It showed that employers value not just the skills and character traits described above, but also character qualities as well, such as mindfulness, curiosity, courage, resilience, ethics, leadership and meta-learning (e.g. growth mindset and metacognition). Furthermore, it is becoming increasingly clear that, in a constantly changing world, an individual’s versatility matters; so, the model developed by Jim Spohrer of IBM, of a “T-shaped” person, holds true: broad and deep individuals capable of adapting and going where the demand lies. Employers’ organizations at the national and global levels are already developing innovative programs to help governments and educators anticipate the needs of the future workforce. Through robust action at the global level, including through the G-20 and the OECD, policy makers can also make sure that they are helping their populations succeed and thrive in a world of AI and other technological advances. This overview highlights the strength of partnerships between the public and the private sector in preparing for the unpredictable. For such alliances to reach their full potential, on the one hand governments and policy makers must be open to the private sector’s input and on the other hand employers need to take a long term view of the ROI and accordingly commit resources in skilling and educating their current and future staff, notably through apprenticeship and work-readiness programs. Andreas Schleicher heads the Directorate of Education and Skills at the Organization for Economic Cooperation and Development (OECD). Shea Gopaul is executive director and founder of the Global Apprenticeship Network (GAN). 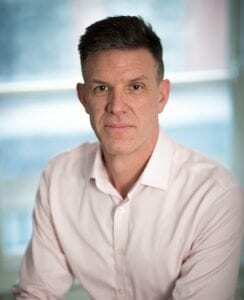 Peter Robinson is president and CEO of the United States Council for International Business (USCIB). The business community is broadly supportive of efforts to update and strengthen the North American Free Trade Agreement (NAFTA). NAFTA has been a major success for the United States, as well as our Canadian and Mexican partners. But it’s now a quarter-century old and lacks rules in important new areas like digital trade, data flows and treatment of state-owned enterprises. 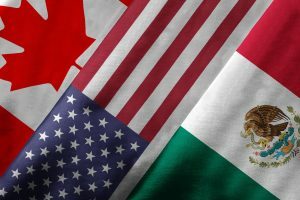 A modernization that will bring NAFTA into the 21st century would be a welcome development, provided that it keeps what is already working in the agreement. Since we are living in an age where the benefits of global economic integration are not well understood or appreciated, it’s worth backing up a bit to ask: What is a free trade agreement (FTA) anyway? Also, why would countries want to enter into an FTA? The United States currently has FTAs with 20 countries, but other countries around the world have entered into several hundred bilateral and regional FTAs since the end of World War II. They have done so not to cede sovereignty or export jobs overseas — two of the widely held misconceptions about trade agreements. Rather, they enter into FTAs in order to grow their economies through mutually beneficial cross-border trade and investment. FTAs historically have provided preferences to the negotiating parties primarily centered around tariff-free trade. More recent trade agreements, including NAFTA, also include provisions on customs and trade facilitation, investment protection, regulatory standards, environment and labor and many other issues. The key to reaping the benefits of an FTA and ensuring that it benefits U.S. companies, workers and consumers is to enforce the rules of the agreement in the event of a breach. In short, a new NAFTA must be fully enforceable. Unfortunately, it seems that the Trump administration may want to weaken NAFTA’s core enforcement provisions. Such a change would spell disaster, akin to playing football or any other sport without a referee. 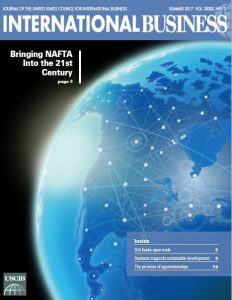 NAFTA currently has three strong chapters that provide for enforcement and redress: Chapter 11, which covers disputes between investors and states; Chapter 19, which covers anti-dumping measures and countervailing duties; and Chapter 20, which covers state-to-state disputes. The United States has put forth proposals on each of these chapters, ranging from weakening the provision to entirely eliminating the chapter. If all of these proposals were to be included in NAFTA 2.0, there would be no provision available to provide legal recourse to an injured party against the party in breach of any of the substantive provisions. Simply put, an agreement without enforceability would be bad for business. The Trump administration’s proposal for an “opt-in” approach to NAFTA’s existing dispute resolution mechanisms is no substitute for real, recognized, agreed and enforceable rules in this area. 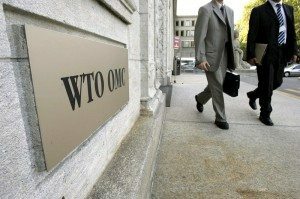 Without substantive provisions protecting investment, including investor-state dispute settlement (ISDS), it’s very unlikely that the United States would gain the very tangible benefits it gets from open investment among the three NAFTA partners. ISDS depoliticizes the enforcement of important investment rules by putting the dispute in the realm of neutral and legal arbitration. U.S. investors, including the many smaller and medium-sized companies that have expanded sales and operations north and south of the border under NAFTA, would be far less willing to do business in Canada or Mexico if those governments couldn’t be held responsible for poor treatment or abuse of power. The same goes for Canadian or Mexican investors in the United States, who have created many thousands of jobs here at home since NAFTA came into effect. More broadly, you have to ask yourself: What good is a free trade agreement without enforcement provisions? The law of the Wild West is not the sort of formula needed to govern international trade and investment in today’s complex globalized international economy. To extend the sports metaphor, the Trump administration seems to be more focused on playing defense than offense, preoccupied with eliminating tried-and-true principles because they impinge on our unilateral ability to block imports, discriminate against foreign products or projects and simply ignore inconvenient rules and regulations. Historically, under both Republican and Democratic administrations, the United States has played offense. Indeed, we have been the star quarterback of the pro-growth team, leading international efforts to open markets, fight protectionism, promote greater international competition and uphold the rule of law. A key part of this has been our insistence on strong enforcement provisions, i.e., referees with real whistles and real authority. For the U.S. now to focus on defense while also throwing away the rulebook is truly troubling. 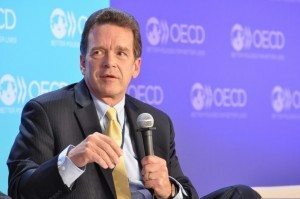 Peter M. Robinson is president and CEO of the United States Council for International Business a business advocacy group that was founded in 1945 to promote free trade and help represent U.S. business in the then-new United Nations. Global skills mobility is integral to business and economic growth, with labor migration having contributed an estimated four percent to global economic output in recent years. 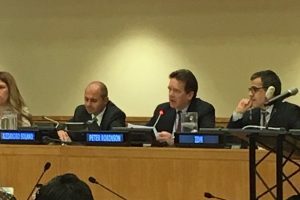 That was one of the key messages delivered by USCIB President and CEO Peter Robinson at a March 26 international dialogue on migration held at UN headquarters in New York. Robinson represented both USCIB members and the International Organization of Employers, which alongside the World Economic Forum spearheads private-sector input to the inter-governmental Global Forum on Migration and Development via a recognized “Business Mechanism.” He said companies know the value of skills mobility in their workplaces: fully 74 percent of corporate respondents in a recent survey by the Council for Global Migration reported that access to global skills is critical to attaining their business objectives. By 2020, there is expected to be a worldwide shortfall of 38-40 million skilled workers, Robinson observed, and national migration systems need to adjust to address this need. Benefits of skilled migration accrue to both the countries receiving and sending migrants, he said. Many advanced economies are facing the labor impact of aging populations and falling birth rates, and must look abroad to fill worker shortages at all skill levels. And many countries rely on remittances from their citizens working abroad as well as the skills of returning migrants. Companies operating at the global level are increasingly sensitive to potential abuses of migrant workers in their supply chains and are taking steps to address these, according to Robinson, who currently co-chairs the B20 Employment and Education Task Force. They are participating in an array of initiatives aimed at fostering fair and ethical recruitment, and are lending their expertise to helping national authorities better process immigrants and match employment opportunities with available workers. Robinson underlined the commitment of business to this subject area and to the UN’s Global Compact on Migration. He urged governments and other stakeholders to partner with employers at the global and national levels to address the need for expanded skilled migration. 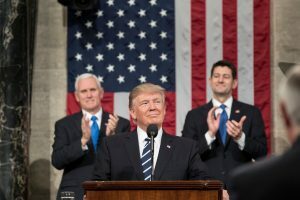 As the annual State of the Union address approaches, USCIB is urging President Trump to use the occasion to commit his administration to pursuing strong U.S. economic growth and improved competitiveness by engaging with our trading partners and key international institutions. increasing international leadership where it matters. You can read the full USCIB letter to President Trump here. The Hill has published an op-ed by USCIB President and CEO Peter Robinson on UN reform — see below. The op-ed is also available on The Hill’s website. This op-ed follows on a letter to the New York Times on the same topic last month, as well as an op-ed on UN funding in January. It further advances USCIB’s position that the UN must work more effectively with the private sector and other stakeholders to advance shared goals. Critics of the United Nations are gaining ground in Washington. Proposals to defund and disengage from the U.N. have been put forward on Capitol Hill and by the Trump administration in its proposed budget. 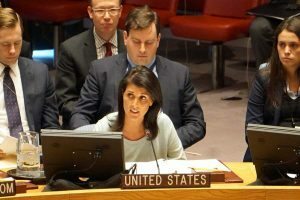 As a longtime observer of, and participant in the U.N. representing the American business community, I’d like to offer some unsolicited advice to Ambassador Nikki R. Haley, the U.S. representative to the U.N., on how we could work to improve the global body. The U.N. deserves a lot of the criticism being leveled at it. Many observers, myself included, acknowledge that parts of the U.N. system often suffer from poor management, an inability to efficiently set and meet priorities and the tendency to take an unbalanced view toward certain stakeholders. This is evident in the organization’s attitude toward the private sector. There have indeed been positive experiences, such as in the U.N. 2030 Development Agenda, where the U.N. is reaching out to the private sector to meet commonly agreed goals of poverty reduction, environmental protection and better governance. But too often, in many parts of the U.N. system, the business community is still regarded with suspicion, and its motives are called into question or criticized as a conflict of interest. With criticism of the U.N. on the rise, now is the time for the United States to push for effective reform. Here are four areas where the U.S. could exercise some “tough love” in the United Nations. First, insist on good management. Financial resources are scarce, and we need to know that our taxpayer dollars are being used wisely. New U.N. Secretary General Antonio Guterres has pledged to make the organization leaner and more effective. Work with him to increase the ability of the U.N. Office of Internal Oversight Services to act as a truly independent “inspector general” throughout the U.N. system, with direct reporting back to U.N. governing bodies authorized to take specific action on recommendations. Second, demand more transparency and accountability. The U.N. has taken steps to open its doors to non-governmental entities, but much more needs to be done, particularly from the standpoint of the business community. Too often, the U.N. sets global norms and standards with little or no input from outside stakeholders, including the private sector. This is unfortunate, especially given the extent to which business is looked to for funding, innovation and implementation in such areas as climate change, improved nutrition and better health care. In addition, some U.N. agencies, such as the World Health Organization, actively blacklist business organizations from even observing their activities. This damages the U.N.’s credibility and effectiveness. Third, ensure the U.N. avoids redundancy and mission creep. While the U.N. plays a central role in global governance, it cannot and should not do everything or have the final say. United Nations negotiators are sometimes too eager to take up issues already being addressed elsewhere, like in global taxation, data and privacy issues, or intellectual property rights. This not only wastes government time and money, it creates uncertainty and confusion for companies and everyone else. The U.S. should guide the U.N. and its specialized agencies to focus their resources on areas where they can add the most value and where they have a clear mandate. One way to do this would be to develop stricter guidelines for voluntary contributions from member states, which are usually funds over and above assessed contributions for pet projects that often deviate from an agency’s mission. Fourth, and perhaps most important, encourage the U.N. to partner with the private sector. Governments can’t do everything. The World Bank estimates that effectively tackling global problems of poverty, health, job creation and energy access will require trillions of dollars over the next 15 years, with much of that coming from the private sector in the form of project finance and foreign investment. But this won’t happen if business views are sidelined or ignored. The U.S. should spur the U.N. to step up its partnerships with companies in such areas as innovation, infrastructure and investment. Ambassador Haley should focus especially on U.N. agencies and bodies that have kept the business community in the dark or at arm’s length. Organizations such as the WHO and U.N. Human Rights Commission have drifted away from their core agendas and have enacted counterproductive restrictions on business — a key community which is keen to bring resources, expertise and implementation to advance their respective missions. We should insist on inclusive and transparent governance in the U.N., with an open door for responsible actors from civil society, including the private sector. The United Nations has made important progress, and it must continue to seek out new opportunities for collaboration that can improve lives and increase prosperity in the United States and around the world. But none of this can happen if the United States is not at the table. The U.N. was in large part an American creation. It’s going to be up to us to try to fix it. Peter M. Robinson is president and CEO of the United States Council for International Business. Today’s edition of The New York Times features a letter to the editor from USCIB President and CEO Peter Robinson on UN reform and the need for the United States to continue to play a leading role in the UN system. The letter is available below as well as on the New York Times’s website. Robinson’s letter responds to U.S. Ambassador Nikki Haley‘s recent comments criticizing the UN Human Rights Commission and other agencies, and comes against the background of recent calls from some in Congress and the Trump administration to defund the UN. ‘Tough Love’ at the U.N.
As a longtime participant in United Nations deliberations on behalf of the private sector — which has not always enjoyed a warm welcome in the organization — I think that it is always better to be at the table than to walk away. For us, this is important because the United Nations and its member governments are looking to business to make important contributions on climate change, human rights and many other challenges. In my view, some United Nations agencies, including the Human Rights Council, may need to be reformed so that they align with the expectations of United States taxpayers and better reflect the global consensus in favor of strong protection of human rights. The writer is president and chief executive of the United States Council for International Business.